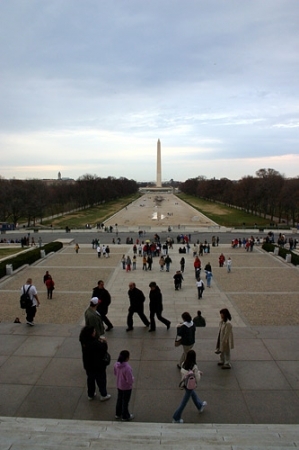 No stores here, just monuments, grass, and museums. Remember the Nation has a LONG front yard. Don't try to make Grandpa walk all the way down and back unless you have all day, and he's really fit. REALLY. The Newseum - a 250,000-square-foot museum of news - offers visitors an experience that blends five centuries of news history with up-to-the-second technology and hands-on exhibits. Fun for all ages. Note that there are some emotionally disturbing exhibits, but you can pick and choose. There are also many movie theaters. You can spend an entire day here. It's Episcopalian, not Catholic - but all are welcome. It's got all the stuff the European cathedrals have, including flying buttresses and gargoyles. This one has Darth Vader, too. And a new underground parking lot. This is one of the few art museums in DC that asks for an admission fee, but it is worth it. The Phillips houses some of the great modern classics. The Smithsonian is more than one museum. See the list below for some guidance on where to start! Note Ben Stiller is making his next Museum movie at the Air & Space museum! If you have kids around 7-15, this is a great place with lots of distractions. They can touch and listen and push buttons and watch videos and dash from exhibit to exhibit. Be aware it's often very crowded, and it's not free. Nevertheless, adults often find something interesting here, too. And the neighborhood includes the Verizon Center, Ford's Theater, and the Hard Rock Cafe - a fabulous place to take the family after an exhausting run around the Spy Museum. Madame Tussauds - London's most famous tourist attraction - has come to DC. See DC as it is right now. Learn about the air quality in America's national parks and how the National Park Service is protecting resources affected by air pollution. Use our Nature and Science Air Resources website to begin exploration of the air quality in the national parks. A quick reference calendar of events from the DC Govt. Another DC lens - with info on Vegetarian dining. Good stuff! Bolt Bus - Buy Tickets - New York 33rd and 7th to Washington, D.C. 11th and G NW - NEW cheap way between DC and NYC! The Corcoran - A premier collection of American paintings and sculptures as well as European art. The Phillips Collection - The first modern art museum in America. Log in to view a more complete gallery list here. 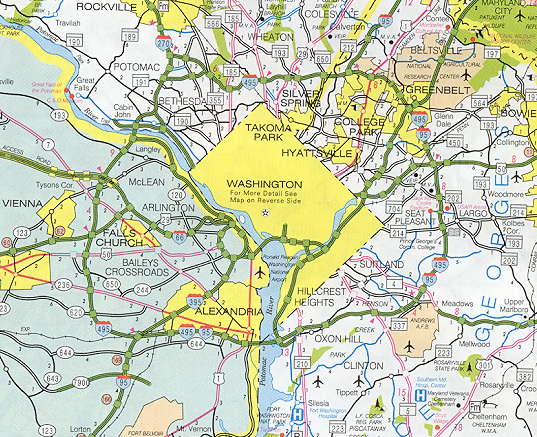 or view our DC metro art location map here.